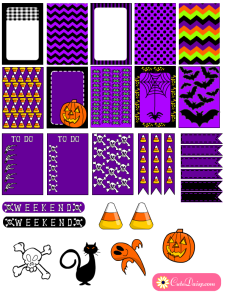 So today I was really confused that whether I should make thanksgiving stickers or Halloween stickers but finally I decided to make Free Printable Halloween Stickers for Happy Planner and Erin Condren Life Planner boxes. Then another question was that which color I should use to make these planner samplers. 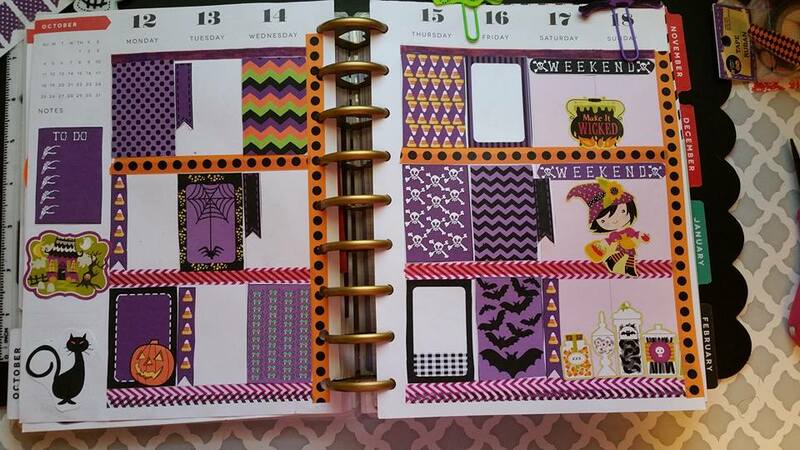 So I decided to go with three colors for the planner kits, one was orange, second was purple and third was green. 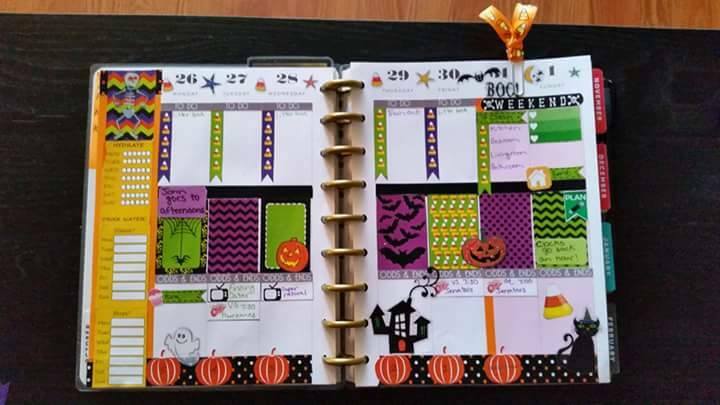 I mixed and matched these colors with black and white and made cute objects like candy corn, spiders, pumpkins and bats. I also made patterns like chevron and polka dots. 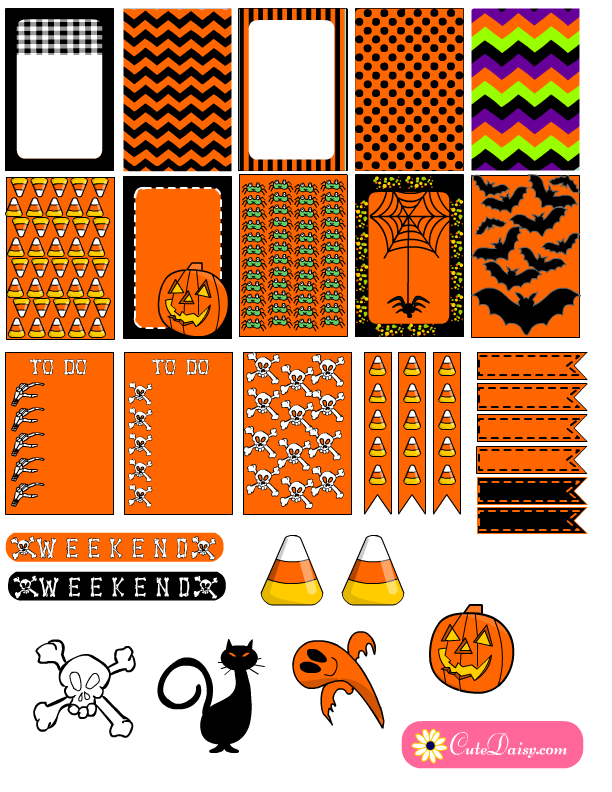 You can also get some decorative stickers for Halloween on my site and also match some free printable Halloween washi tapes to decorate your planners. 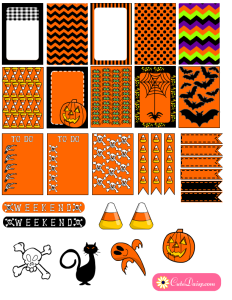 This is the first set of these free printable Planner stickers in Orange and Black color combination. 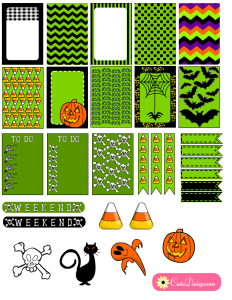 You can download these Halloween Stickers for Happy Planner here and for Erin Condren Life Planner you should click here. Do not resize or scale these images to get the best fit. 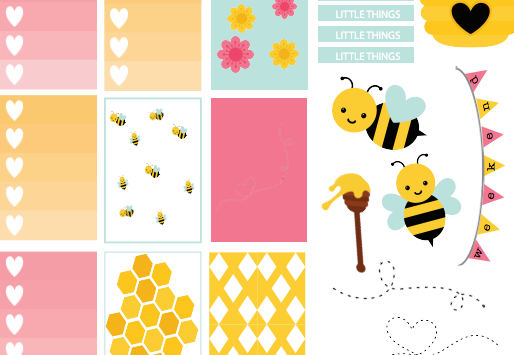 The size for Happy Planner stickers is 1.5″x2.25″ and Erin Condren is 1.5″x1.9″. 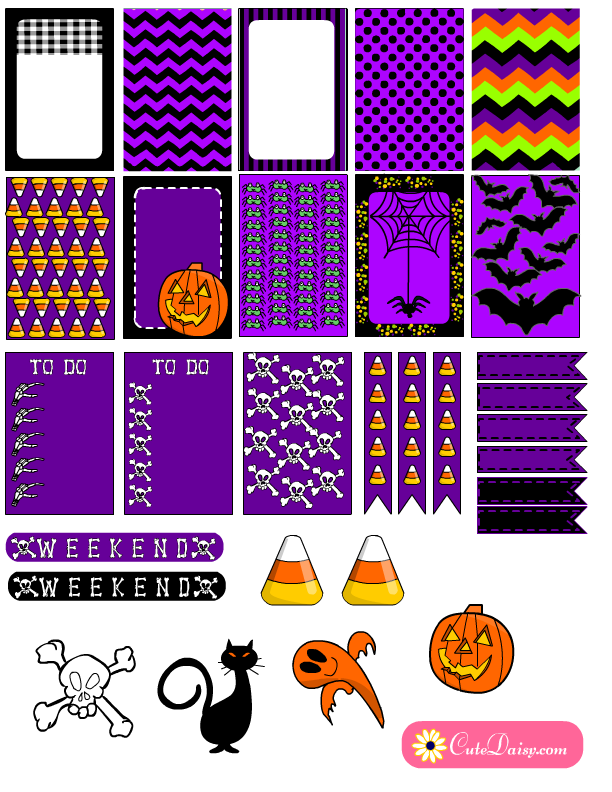 Here is another planner sampler or kit for Halloween and it is in purple color. 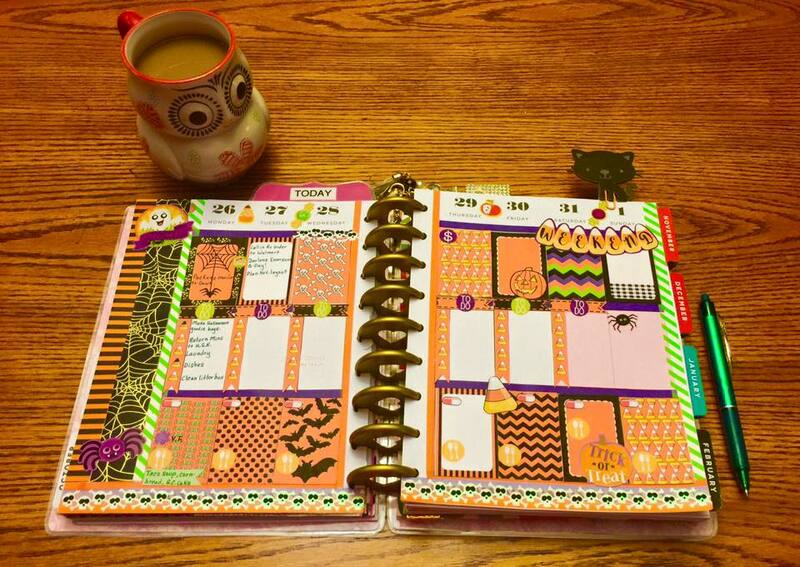 You can download halloween stickers for your happy planner here and for Erin Condren Life Planner here. 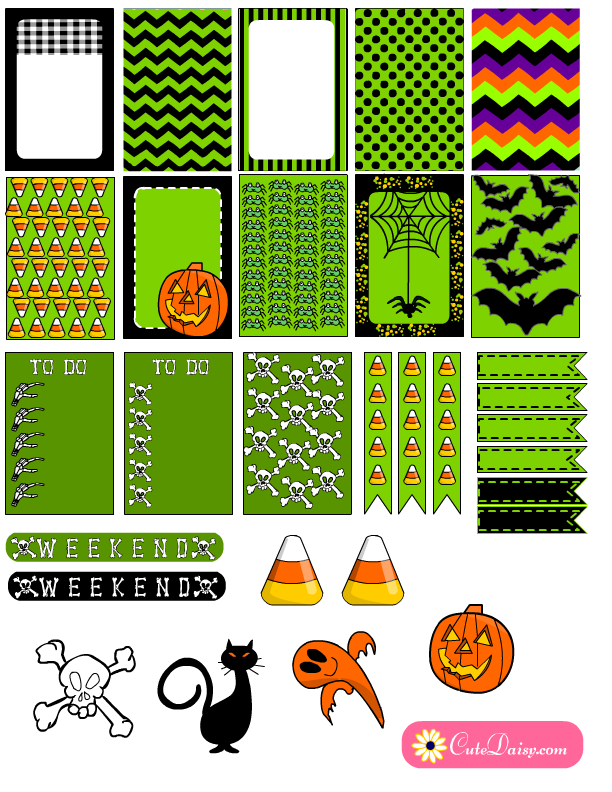 Here are these adorable Planner sticker boxes for Halloween in green color. 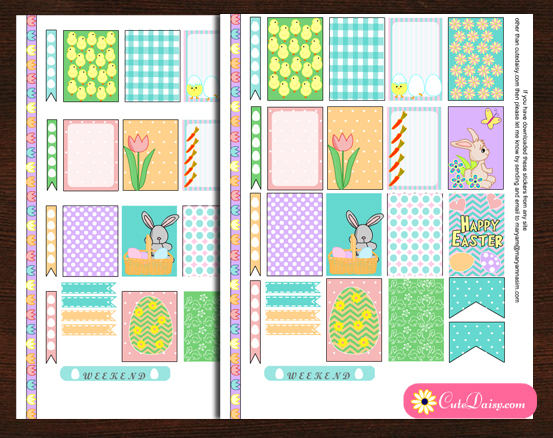 To download these for Happy planner click here and for Erin Condren Life Planner click here. Christi Grogan has just started with the planners and she is new at this but she has used these stickers in a beautiful way to decorate her happy planner along with some other stickers thats he already had. This is how KasperHomeLife has beautifully used these stickers along with some Mickey mouse stickers and shared a video on youtube about it. Here are two more layouts, one by Diana Darlene Jennings and other by Courtney Beaudry, aren’t these lovely? Please leave a comment below if you like my work and also do not forget to share it on Facebook and Pinterest. Lol, after choosing the green one to be the main image, I also liked the purple one more !!! Thank you again Maryam! Your work is simply adorable. I appreciate all the hard work that you do for us. I hope you have a great weekend! Thank you so much for your wishes Diana ❤️. I made these candy corn stickers on your request for you. I love all of your work. You are truly awesome. Thanks for all you do. Have a wonderful weekend. Again you have created such beautiful planner stickers and goodies and to offer them in three different colors is just amazing!! I truly can’t pick which one I like best! I will be using all of them! Thank you again for all your wonderful creative inspiration! Love these, so does my little one!! Oh wow, definitely saving these for next years planner …. thank you so much for sharing! Amazing, absolutely love these 🙂 Thankyou so much for sharing. Thank you for sharing!! I love these!